Airlines and airports are getting decked up with the latest technology in order to make every procedure more user-friendly to the passengers and at the same time enhance the technology. Few months back London Heathrow Airport introduced a new terminal with an uber elegant smart toilet. Then, FlyDubai airlines implemented Windows 8 tablets for a better check in procedure. The Windows 8 tablet enabled an on-spot check in rather than being confined t9 desk work which minimized the check-in time per passenger to about 2 minutes or so. 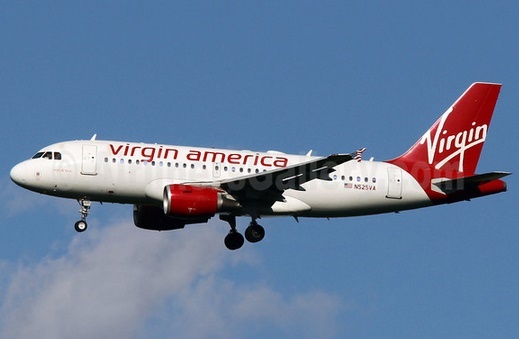 Recently the Virgin America Airlines celebrated its 7th birthday and on this occasion the new Airlines turned enthusiastic in introducing high end technologies for the crew members as well as the passengers. Hence they dumped all the technologies which are obsolescent. A new inclusion in their possession is the Google Nexus 7s for the cabin crew. The new device got a name on popular voting and is referred to as “CrewPad”. These tablets will be used by flight crew members and attendants for serving the passengers in a more beautiful way. If a passenger needs a fruit juice, he/she can just can order a drink via the seat-back ‘Red’ in-flight entertainment touch-screen and the attendants can deliver the drink immediately. This will overall shorten the usual process where the attendant comes, listens to the passengers, goes back and then brings it.